Every year thousands of people from the UK head abroad to the Alps for their winter holidays and it’s definitely no secret that us Brits are absolutely crazy about skiing! 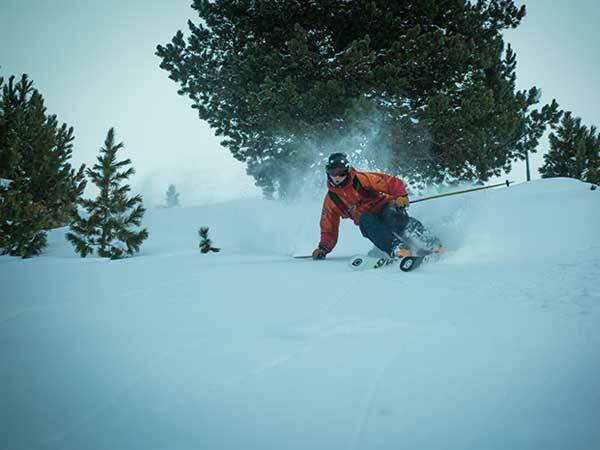 However what is more of a secret is how we get our ‘ski-fix’ for the rest of the year. 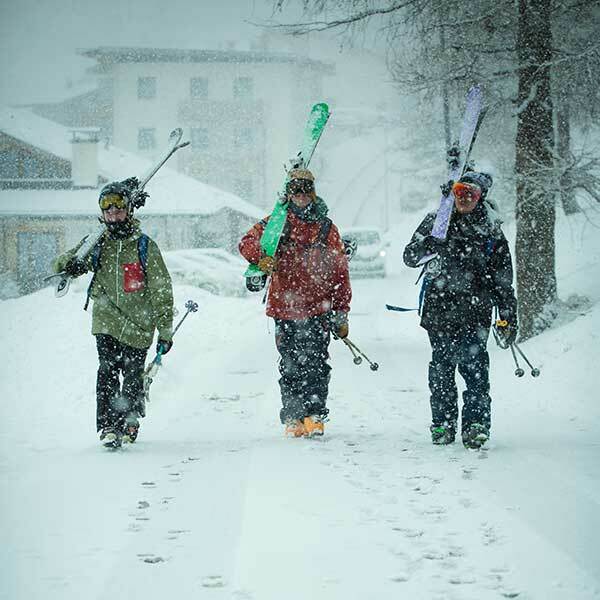 It may come as a surprise to you, but here in the UK we have many of our own ski resorts. A few have natural snow but at the others the ski surface is very different and many of our most popular slopes are made of plastic. 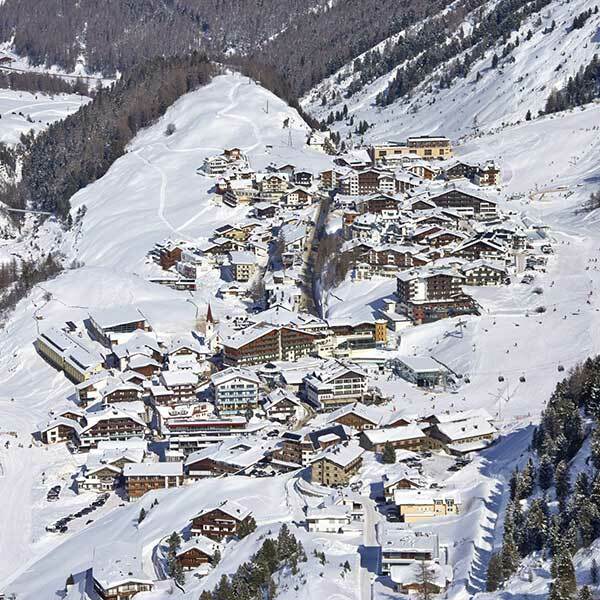 It was at these places (that we call these ‘dryslopes’) the Ski The Kingdom (STK) project was born. We were a group of friends who loved freestyle skiing, especially the fact that we could ski all year round at these dryslopes for not very much money and practice all our tricks ready for when we had the opportunity to go out to the mountains. Skiing in the UK gives you a very different outlook on snowsports and there’s definitely a shared mindset amongst the UK ski community that we’re all very grateful to have places to be able to go skiing and are always looking to make the most of whatever we have available. The STK team itself is made up of an ever growing group of UK skiers who love the sport and want to achieve as much as they can. 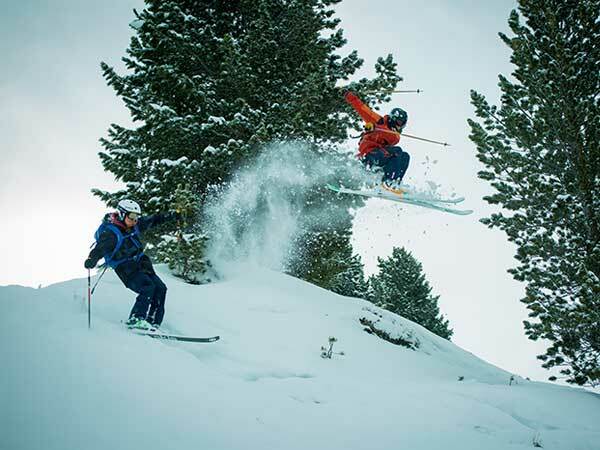 For two members in particular (Will Tucker and Sam Allen) their particular ambition is to compete on the Freeride World Tour and therefore every season they spend time away in the mountains competing at as many free ride competitions as possible. 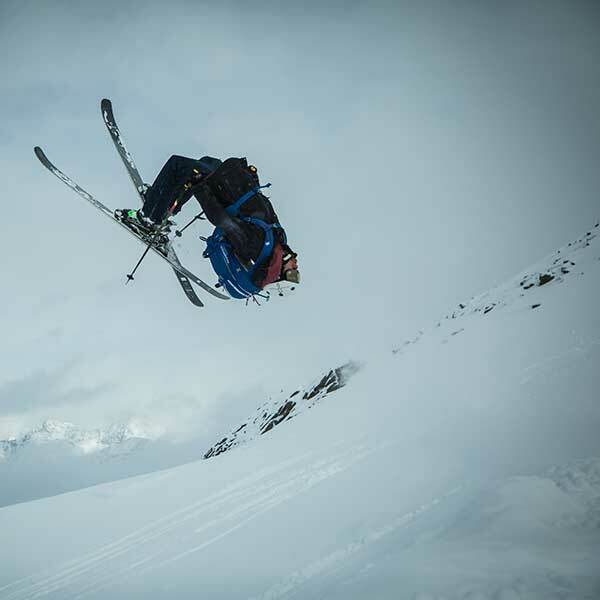 One of the main competitions they’ve set their sights on is the “Open Faces” 4**** Freeride World Qualifier event held in Obergurgl, Austria. 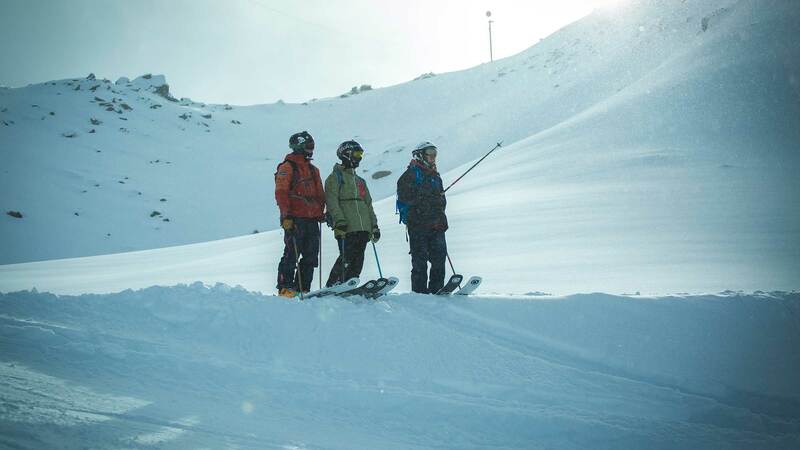 For many year’s we had wanted to film an STK project in the mountains and so it seemed the perfect opportunity to take Will, Sam (and their Whitedot Skis team-mate Ed Salisbury) out to Obergurgl for a week of freeride training, filming and preparation for future competitions. We chose Obergurgl for several reasons, being such a high resort we knew it would have good snow (especially later in the season when we were visiting). We knew it had a great reputation for powder as well as lots of potential with easily accessible free-riding terrain.As we drove up through the picturesque Oetztal valley we couldn’t believe our luck! The snow was coming down heavy and we arrived in Obergurgl late that evening and were very soon in bed, resting up ready to make the most of the next day! As we awoke the next morning the snow clouds had parted to reveal the slopes, all of which were covered in knee deep powder! We chose to start the day on the Obergurgl side of the mountain, taking the lift straight to the top and immediately dropping in to deep powder lines right next to the pistes. After a few runs everyone was feeling ready to start testing out their tricks and soon we’d found the perfect spot to do it! Sam led the charge sending a huge flip off of a cat track in to the perfect powder landing, followed swiftly by Will doing the same. This trend continued throughout the day as spurred on by each other’s efforts everyone was soon trying something new. Shortly after we found ourselves at the top of a big cliff drop and knowing there was a soft forgiving landing below, the guys nodded at each other, dropped in and grasped the opportunity to send a big air over the cliff and push the boundaries of their abilities and confidence! Our luck continued throughout the week and the snow kept coming. We have a lot of permanent snow park jumps built in to many of our dry slopes, which are great for perfecting our tricks, but both Sam and Will know to score well in free ride competitions they’ve got to be able to land these spins and flips all over the mountain. We’d spent much time in the trees by the Steinmann lift and came across a spot perfect spot to practice trying tricks on more difficult terrain. Sam dropped in first, speeding in to the jump and trying a big double backflip raising a huge cheer from Will and Ed, who both inspired by Sam’s actions, dropped in and each tried a new trick of their own. Although very different to our dry slopes, Obergurgl reminded us very fondly of some of favourite parts about skiing in the UK. The great lift infrastructure meant we were able to lap runs quickly and do lots of skiing in a short space of time (which we all agree is definitely one of the key factors behind the rise of talented skiers from the UK). The runs all easily link together and it wasn’t long before the mountain felt like home and we were able to ski off and meet up, without fear of getting lost, however most of all there’s a very special atmosphere about the place, everyone was very happy to be skiing and keen to make the most of their time on the mountain. 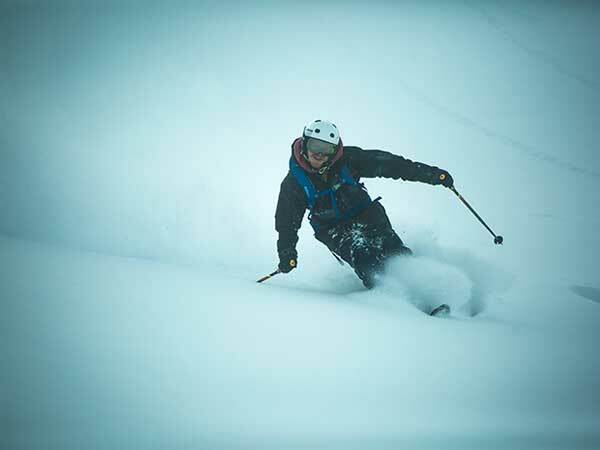 Sam described it best, saying that “Obergurgl had been the perfect playground” for free riding and although we’d skied hard during the week we knew that there is still so much to explore. On our home run we skied down past competition face for the ‘Open Faces’ and hoped our next trip back to Obergurgl would be to compete in the event! There’s was only one way to finish such a great trip and that was an Apres-ski session at the legendary Nederhuette! We toasted a very successful, productive and most importantly enjoyable week. A huge thank you to the Obergurgl-Hochgurgl tourist board and lift companies for their support to make this project a reality! 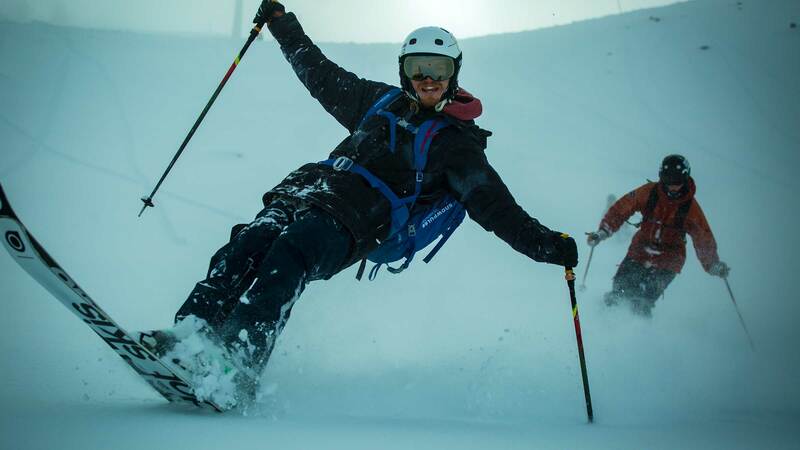 A Sports Management graduate from Loughborough University, Jack specialised in the sociology and marketing of the extreme sports industry, going on to found the non-profit organisation Ski The Kingdom. 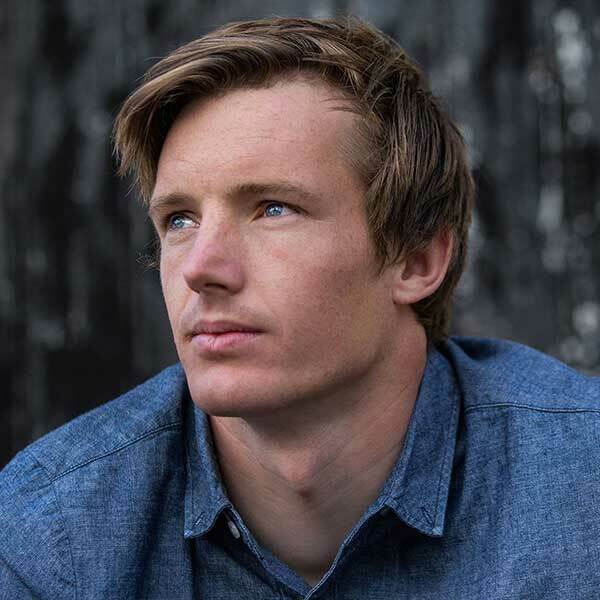 With the main goal of promoting, developing and supporting snow sports in the UK, Jack splits his time between managing Ski The Kingdom and working as a freelance filmmaker and video producer, specialising in sport.